Hitting The Sweet Spot Since 1929, our family-owned Sweet Shop Luncheonette, Diner, Ice Cream Parlor, Chocolate Confections has served homemade ice cream, counter top classics like the sundae, the soda & the ice cream floats, chocolates, gummies and hard candy favorites to our loyal customer base in Northport. Often noted for its Hamburgers, especially for its Bacon, Lettuce and Tomato Sandwiches, the Northport Sweet Shop is one of the few places where you can still feel like a kid in a candy store. Hitting the "sweet spot", our family owned Sweet Shop has served homemade ice cream, countertop classics – the sundae, the soda and the ice cream floats, chocolates and hard candy favorites – to our loyal customer base in Northport since 1929. Often noted for its hamburgers, and especially for its bacon, lettuce and tomato sandwiches, the Northport Sweet Shop is one of the few places where you can still feel like a kid in a candy store. This old fashioned blast from the past has neither eggs nor heavy cream in it. Start with about 2 ounces of your favorite chocolate syrup and carefully blend it with about 1.5 ounces of cold milk. Add carbonated water and build a nice head of foam as you slowly pour it. Serve in a tall glass with a straw & if the straw does not stand up straight, you didn't make it right! Our griddle prepares a simple menu of American basics from eggs and omelettes to mouthwatering short stacks. Noted for our delicious hamburgers, and especially for our bacon, lettuce and tomato sandwiches, we make every effort to prepare the most pleasurable and flavorful meal for you. Chocolate, the finest of culinary luxuries from the simple goodness of Pete’s Broken Chocolate to heartwarming combinations like Dark Chocolate Mango Puree. Full of childhood memories, chocolate has a way of transporting us back to the past with feelings of happy aspirations. 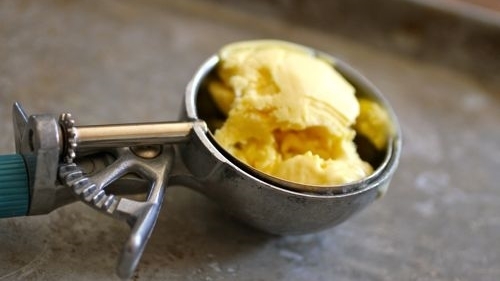 Hundreds of variables go into the making of that perfect ice cream scoop, including carefully chosen ingredients blended and fused at just the right time and temperature. The experiences of founder George Panarites have guided all of the creations of these most delicious ice cream pleasures.